Weight Watchers utilizes a point system to help members plan their meals. Rather than do the math and figure out points for every ingredient, finding recipes with points already calculated helps you easily plan menus. The Internet is a wonderful source for finding free recipes for the Weight Watchers diet. In addition to finding low fat, healthy menu items, most recipes give points per serving, and some even offer fat and calorie counts. A great way to find free Weight Watchers recipes is to go directly to the source. At WeightWatchers.com, you'll find a variety of delicious menu options at no charge. Though most tools at this website are only available to paying members, there are plenty of recipes available for those who do not wish to pay the monthly fee. Health Discovery is a Weight Watchers support network. You'll find recipes with their point values, along with nutritional information for each dish. In addition, the site offers other tools like weight loss calculators, charts, and healthy living articles. You may recognize the Hungry Girl from her show on the Food Network. Her website lists all of the recipes from the show, complete with nutritional information and point values. She tends to feature food that looks like it would be rich and decadent but is lower in calories. Recipe Goldmine also offers an impressive selection of recipes at no cost. You'll find meats, appetizers, beverages and seafood recipes, just to name a few. Each recipe lists the point values. Dashing Dish is more than just a recipe site. It also offers workouts, cooking videos and meal plans. Many of the recipes are free, while some require a pay-what-you-can membership. One nice feature to this site is you can search for recipes by point value. Emily Bites contains a large variety of unique recipes with point values clearly labeled. The blogger's goal is to provide those traditional recipes that people love, but in a lightened up version that's diet friendly, without making anything taste like diet food. Skinny Taste is a popular blog that is regularly updated with Weight Watchers-friendly recipes. Nutritional information and points are included with each recipe. One great thing about this blog is that she has a recipe box where you can save your favorites to revisit later. Skinny Kitchen offers a variety of recipes to please everyone's taste, from comfort foods to the latest trends in the culinary world. The Skinny Kitchen site has an easy-to-manage recipe box that lets you create shopping lists easily. No longer does low-calorie have to be low-taste. 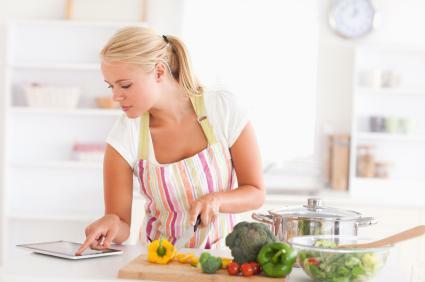 With so many recipes available, making your favorite dishes into healthy dishes for your family is a cinch. While there may be no substitute for the support you can find joining a weight watchers group, working recipes into your diet can help you lose weight if you are counting points.